Why is my blood pressure or cholesterol going up on keto? For most people, the ketogenic diet will optimize your blood pressure and cholesterol levels. Unfortunately, this isn’t the case for everyone. When it comes to cholesterol, you will most likely experience an increase in healthy cholesterol (HDL) that will help prevent heart disease. In other words, if your cholesterol levels go up while you are on the keto diet, this is usually a good thing. To learn more about what happens to your cholesterol levels on keto and how to interpret your cholesterol numbers, check out this article. On the other hand, if you have familial hypercholesterolemia, then increasing your fat intake will most likely cause your cholesterol levels to rise in an unhealthy way. In this case, you will usually do better with a lower fat diet. Regarding blood pressure, keto seems to decrease it more than any other diet that has been studied. A low-carbohydrate diet incorporating fats from olive oil along with vegetables and fish characteristic of the Mediterranean Diet may be the best diet for lowering blood pressure. For a deeper look at the research, check out our article on keto and blood pressure. Adapting to keto and/or dieting is increasing your stress levels, which leads to higher blood pressure. You have certain genes that cause higher sodium intake to increase blood pressure. 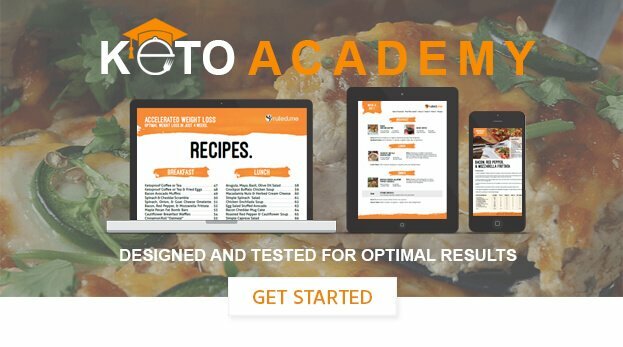 For those that are struggling to adapt to the diet, make sure you are eating enough calories (find out how much you should be eating by using our keto calculator) and follow the recommendations in this article. Conversely, if your blood pressure increases in response to a higher sodium diet, consider increasing your intake of potassium from supplements, low carb veggies, and avocados and limiting your salt intake. By increasing potassium intake and limiting sodium, you should be able to get your blood pressure under control.